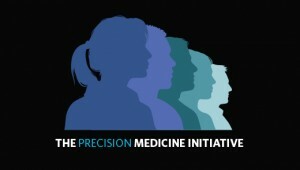 Today the White House hosted the Precision Medicine Initiative (PMI) Summit, celebrating the first year since the President’s announcement of the Precision Medicine Initiative. The entire team at DNAnexus shares President Obama’s sense of excitement as we reflect upon what’s been accomplished; even as we roll our up sleeves and get busy doing the hard work the lies ahead. John Holdren, Director of the White House Office of Science and Technology kicked off the event announcing the progress of a few remarkable initiatives 1) the NIH advancing cancer clinical trials through the development of large research cohorts, 2) the Million Veteran Program which has enrolled 150,000 vets to date and is now open to active duty women and men, and 3) the precisionFDA community platform for NGS assay evaluation and regulatory science, which just launched its first “Consistency Challenge”. There were a number of inspirational stories from patients and families recalling their own struggle with disease and how precision medicine aided in diagnosis and treatment. 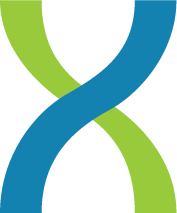 It is so rewarding to see real-life examples of how genomic sequencing is being used to diagnose genetic disorders in the clinic and advance treatment and, ultimately, help patients lead healthy and happy lives. What resonated most for us from the White House PMI panel was the President’s remarks on the healthcare system. Although it is a system labeled for “health care”, it is actually a “disease care” system. The U.S. healthcare system has been designed based on patient passivity; patients wait until they are sick and then it’s the doctor’s job to treat the disease/condition. Instead, we need to transform the healthcare industry to play a more active role in health and get health information into the hands of consumers. This will allow patients to remain healthy and keep disease from manifesting in the first place. In order to make the President’s PMI a reality, we need to make anonymized patient data available to researchers and to merge information from different studies in order to advance medical research. We believe in a secure and unified platform; one that connects thousands of scientists around the world. True scientific breakthroughs are possible when researchers are able to collaborate openly, securely, and transparently around petabyte-sized datasets. Support of both projects selected for funding by the California’s Precision Medicine Initiative – an effort to identify occult infectious diseases in critically ill patients, led by UCSF’s Charles Chiu, and an effort to bring together pediatric oncology data, led by UC Santa Cruz’s David Haussler. Looking ahead, we believe that the realization of precision medicine’s promise requires the intelligent integration of genetic data with electronic health record data and a range of other data types. Successfully doing this requires the technology to effortlessly collaborate around large volumes of data in a secure and compliant fashion – which DNAnexus provides. But meaningful progress also requires the commitment to share relevant data, which we believe is developing, especially as (a) stakeholders increasingly recognize the scientific advantages of collaboration as opposed to a history of secrecy and data silos; (b) stakeholders begin to appreciate the ease and security of cloud computing in this process; (c) patients appropriately demand and belatedly receive more ownership of their own (damn!) data, and can easily elect to contribute that data to scientific research. We’ve been privileged to be so deeply involved in the mission of precision medicine, and are excited by the opportunities to drive this work forward. As a business, and as a U.S. business, we are excited to see President Obama’s vision for precision medicine and improved health care align with our own.